With the impending colder weather, Metro is piloting some new track equipment to fight the snow and ice and maintain overground rail service. As a pilot project funded through Metro’s Sustainability Lab, we have replaced the switch heaters at Glenmont Yard with a new energy efficient heater that not only reduces energy consumption, but is also easier to install and maintain. 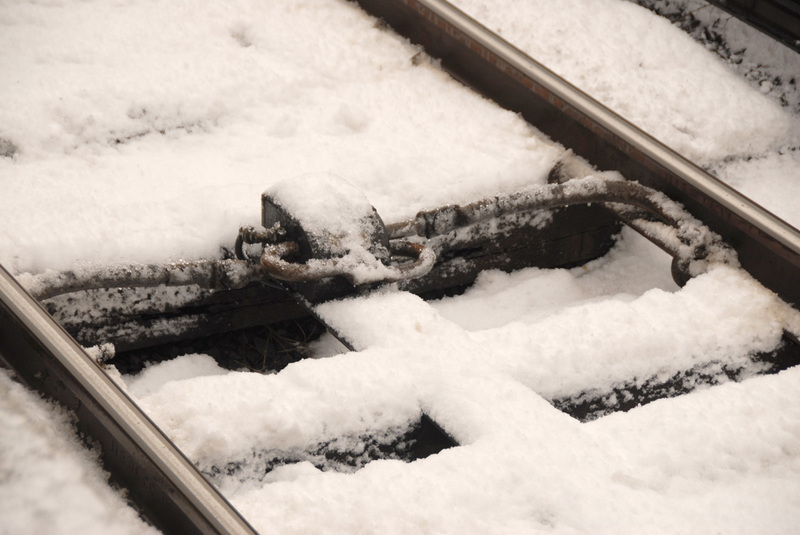 Switch heaters are vital to winter operations, providing radiant heat to track switches to prevent them from icing up and restricting train movements. Within the Metrorail system, each rail yard controls its heaters on an individual basis, and heaters are frequently in constant operation during the winter to allow tracks to remain operational. Glenmont is Metro’s smallest yard and also has one of Metro’s more expensive electricity rates, so it was an ideal candidate to pilot the new heaters. Should testing prove successful this winter, we could adopt this new style of switch heater as standard across 58 miles of surface revenue track and 8 Metrorail yards. 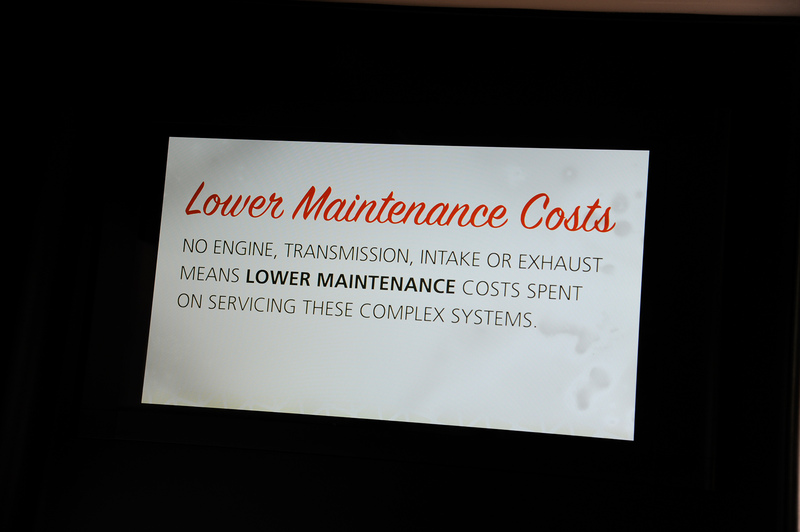 This could save Metro over $110,000 annually in energy costs. Each year the Sustainability Lab tests out new ideas such as these switch heaters for large-scale deployment, and we would love to have your help in finding ways to reduce resource consumption and improve service. Whatever the idea, we’d love to hear your thoughts and consider them. So help us think big! Submit your ideas online or email them to planning@wmata.com. Sometimes small investments yield large returns. Building sidewalks and bike lanes to Metrorail stations increases safety and pays off two to one. To close the loop on the last post that described our station area bike/ped project selection and evaluation process, we’ve posted the summary report online for your reading pleasure. To skip right to the bottom line, though, we’ve been able to tie dollar amounts to certain project benefits and have calculated a total return on investment that’s nothing to sneeze at. In short, we’ve estimated that a $13 M investment in some of the 394 top pedestrian projects leads to a $24M discounted revenue impact for Metro and its funders of the course of these projects’ useful life, a net positive benefit of $11M. BAM! New bike lanes provides a separation between both moving and parked cars, and the bicyclist, making her safer. These projects are valuable indeed and the task before us (the royal ‘us’) is to ensure that they are built, thereby contributing to a more efficient use of the Metro system by maximizing the accessibility of stations. So, let’s get cracking! Since we collected projects from planning documents going back a few years, we anticipated that some of them might already have been built or might no longer work in the current context. Therefore, we asked staff from our local transportation departments and planning agencies to help us “ground-truth” or update project status. Out of the 394 top projects, we removed 194 that were already completed, no longer under consideration or that have already been funded, leaving 200 to focus on. Not bad for a day’s work! The summary report includes maps showing where the most-needed projects are located, as well as a “scorecard” detailing each project’s potential benefits as calculated in the prioritization process. These include the safety measure defined by frequency of crashes proximate to the project, the potential ridership generated for certain projects, community facilities served, whether or not the project is located in a low income area (and, if so, how much of it falls in that area), the Walkscore, estimated cost, and a number of other useful indicators. Metro shared its Station Area Investment Plan with the APTA Rail Conference attendees – and met with rave reviews. I recently had the opportunity to present our Station Area Strategic Investment Plan to the over 1,500 attendees at APTA’s Rail Conference. Many thanks to APTA’s Sustainability and Urban Design Standards program for footing the bill for this trip to Phoenix. It was 117 degrees there, and tested even my desire for walkable urbanism, but that’s another story entirely. The presentation highlighted the Office of Planning’s work to quantify the return on investment of station area accessibility improvements, work with local jurisdictions, to prioritize these improvements based on an analytical platform, and identify the appropriate funding mechanisms to get these improvements built. After successfully testing a battery at West Falls Church, Metro is looking into more ways of re-capturing braking energy from trains. This could save operating costs and improve environmental sustainability, too. Metro spends approximately $50 million each year on electricity to move our riders and railcars around the system. 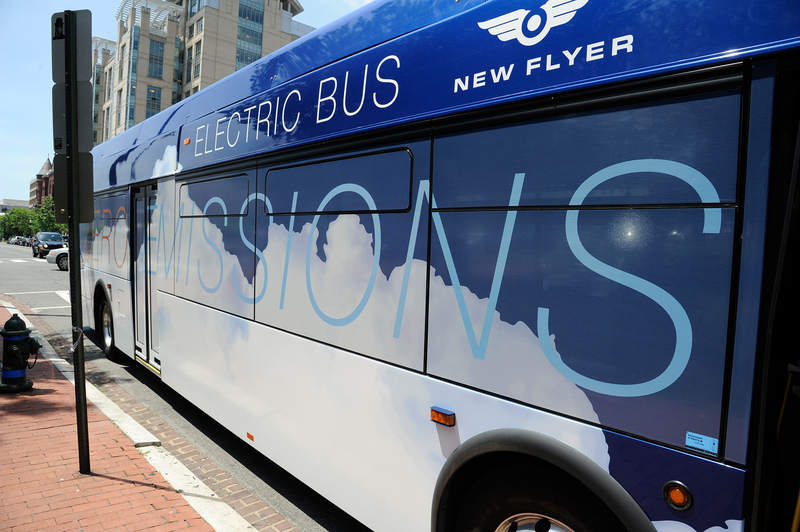 Last month, the Federal Transit Administration (FTA) released a final report they commissioned Metro to conduct on technology to capture excess energy from regenerative braking through energy storage. The project was conducted by Metro and Kawasaki Heavy Rail Inc. at Metro’s West Falls Church substation as a “proof of concept” test of nickel-metal hydride battery technology as a storage media to capture otherwise wasted railcar braking energy from the direct current third rail. 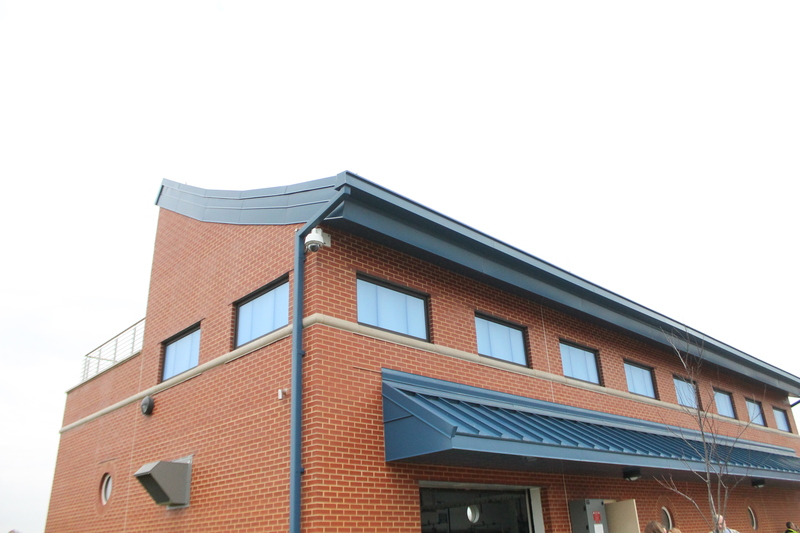 Energy savings of approximately $100,000-200,000 that can reduce transit agencies’ utility consumption and peak power demand charges. Voltage support to reduce line loss on the third-rail power distribution network. In particular, this offers significant benefits to system performance between traction power substations (fed from the local utility) providing a more efficient energy transfer to railcars. Emergency power support to move stationary railcars to safe access points in the event of a power outage from the local utility. Augmenting existing traction power substations to support revenue service during maintenance downtime, and/or enhancing power supply as part of traction power upgrades to support better service such as Metro’s 100% 8-car train expansion. Metro is now analyzing of how battery technology could be scaled more widely throughout the system. 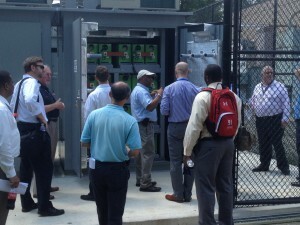 As part of this process, Metro’s engineers are monitoring the results of similar energy storage/energy saving projects that have been undertaken by peer transit agencies such as the Southeastern Pennsylvania Transportation Authority and London Underground. As the cost of battery storage media such as nickel-metal hydride and similar lithium ion technology continues to fall, the economic benefits to rail transit will continue to grow. 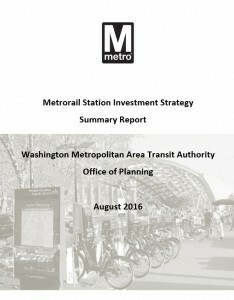 With the publication of this final report, Metro’s engineers’ commitment to strategic federal research provides a tangible example of how the Authority can support emerging technology as part of an investment in cost-effective new technology, and efficiently manage operating expenses. 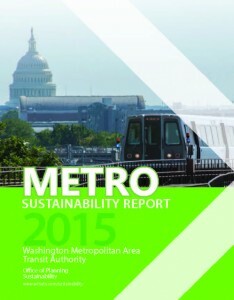 Metro has released its first sustainability report, with aggressive performance targets to guide the Authority and the region on the path to becoming the most sustainable in the nation. 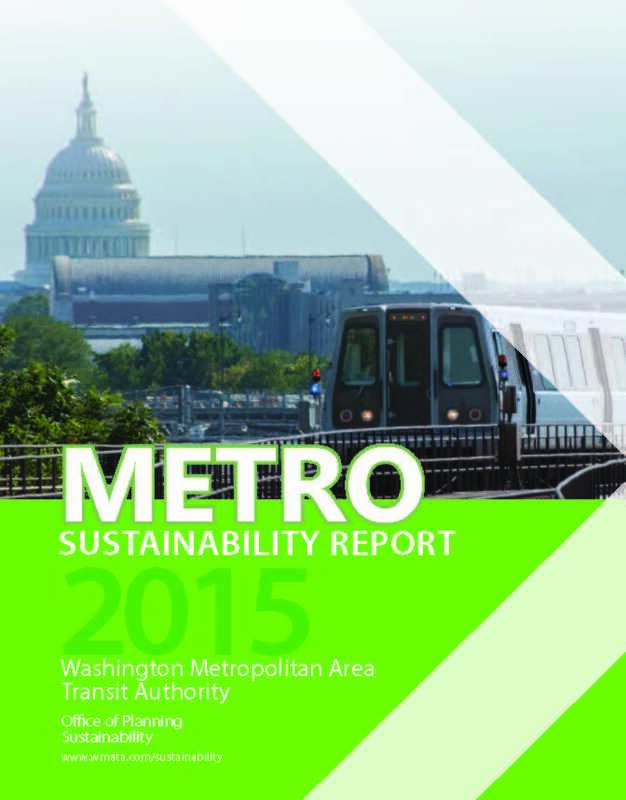 As Metro’s Silver Line celebrated its first year of service in July it is timely to revisit the Metro’s first Sustainability Report. Released in April, the report outlines the sustainability benefits that the Silver Line and the Metro system as a whole bring to the region. 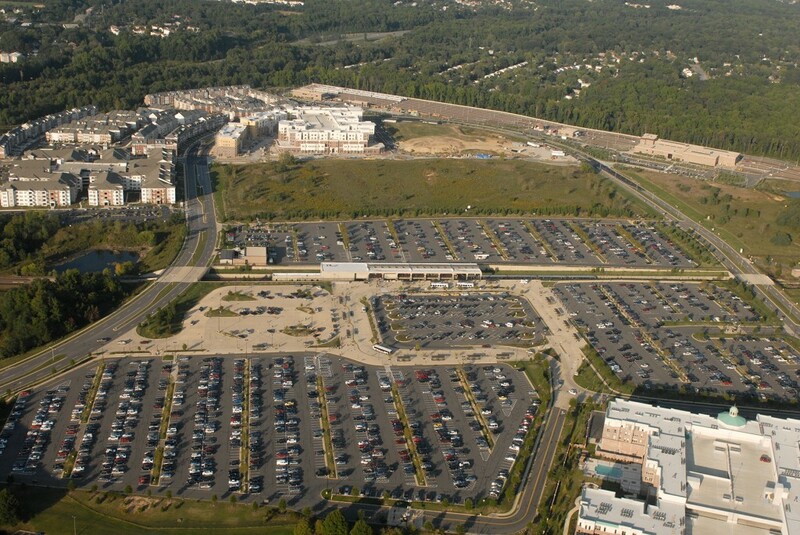 The opening of the Silver Line has resulted in mode shift changes — as indicated by a 15% reduction in peak hour traffic at multiple intersections along Route 123 — combined with emerging transit-oriented development and walkability improvements around the Silver Line. 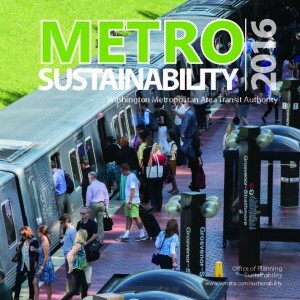 These underscore the Authority’s progress towards the ridership, climate change and connected communities goals of Metro’s Sustainability Initiative – as documented in the Authority’s first annual report. Tell us what you think of Metro’s sustainability efforts and we are always listening to new ideas for potential projects. 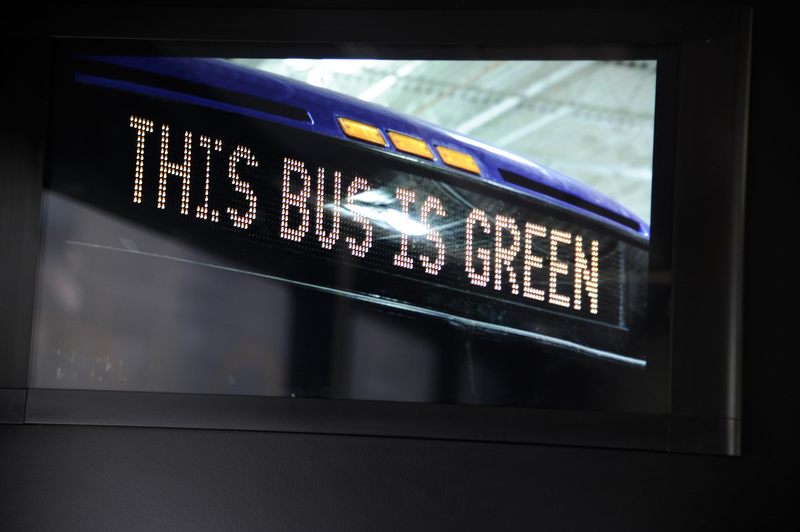 Submit your ideas online or email them to planning@wmata.com. Metro’s new large tub grinder, called “Chip”, will pay for itself in 4 years. With summer now underway, Metro’s Grounds Maintenance and Custodial Services (GMAC) staff are out throughout the system addressing the management of vegetation and landscaping on Metro property. This year, GMAC has a new piece of equipment to both reduce operating costs and improve operational efficiency. 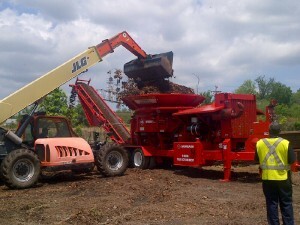 “Chip”, the tub grinder funded by Metro’s Sustainability Lab, is expected to save Metro approximately $50,000 in waste disposal and landscaping costs annually. Chip allows for compostable waste such as leaves, landscape debris, and wood debris (e.g. pallets, shipping crates, etc.) from Metro facilities to be ground up and converted into mulch. This mulch can then be diverted from the waste stream and instead reused in landscaping on Metro property. Chip is anticipated to divert approximately 4,000 cubic yards of compostable waste from the waste stream per year and is anticipated to recoup the initial investment on the equipment in three to four years. This closed loop recycling program will not only reduce Metro expenditure but will also move Metro closer to its long term goal of zero waste that forms part of Metro’s Sustainability Initiative.